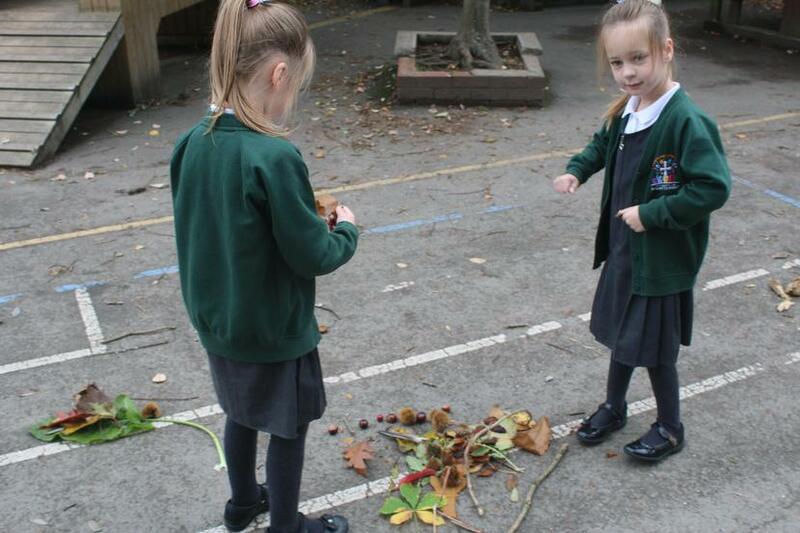 This week Year 1 will be learning some autumn poetry and thinking of their ideas for their own autumn poetry. 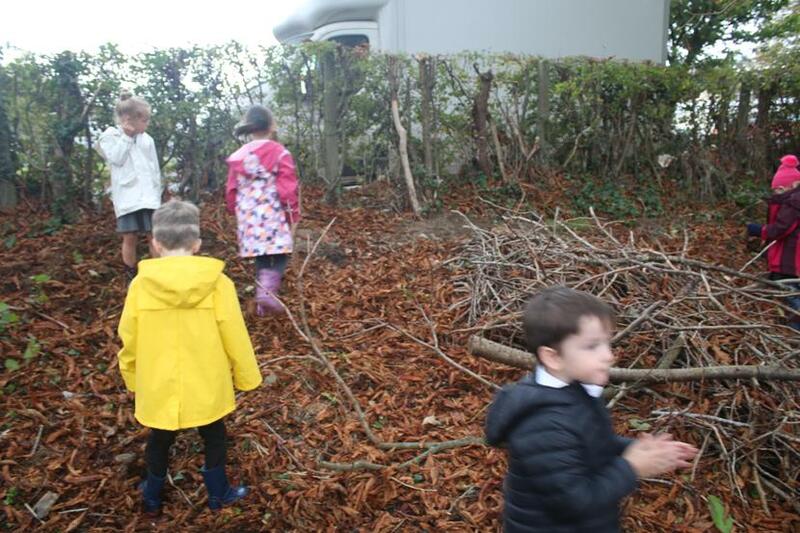 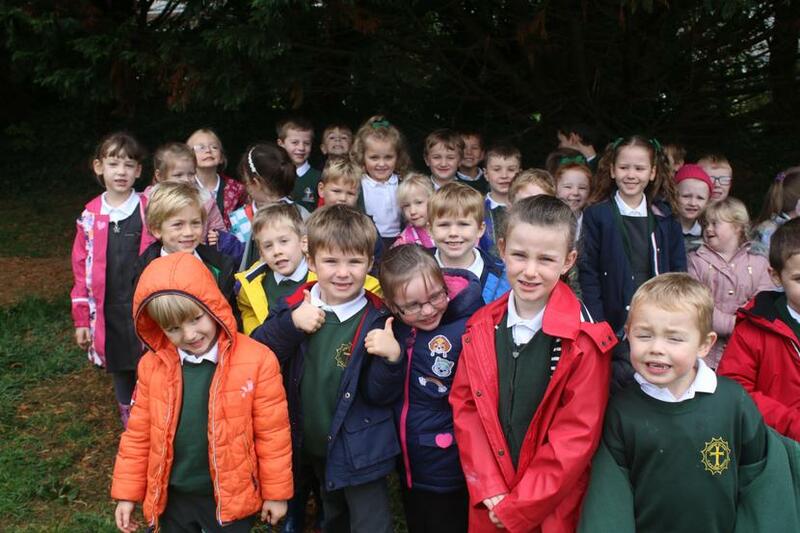 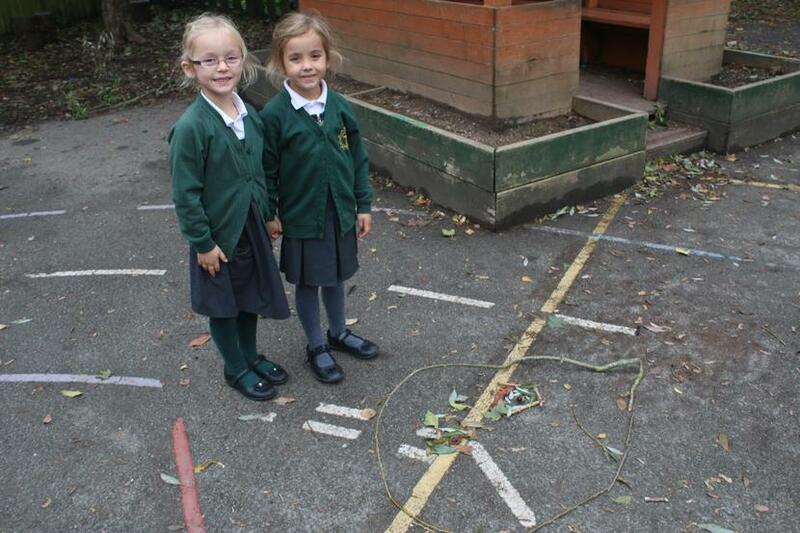 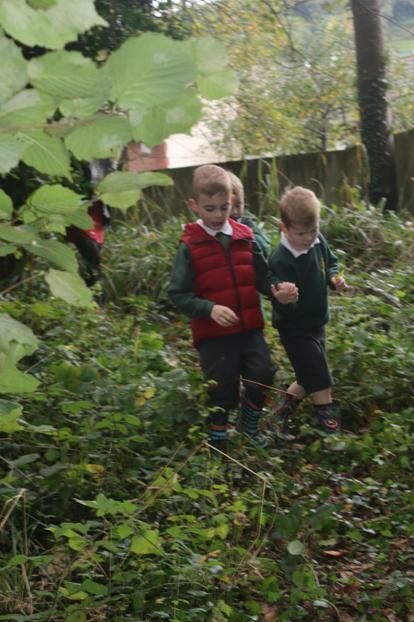 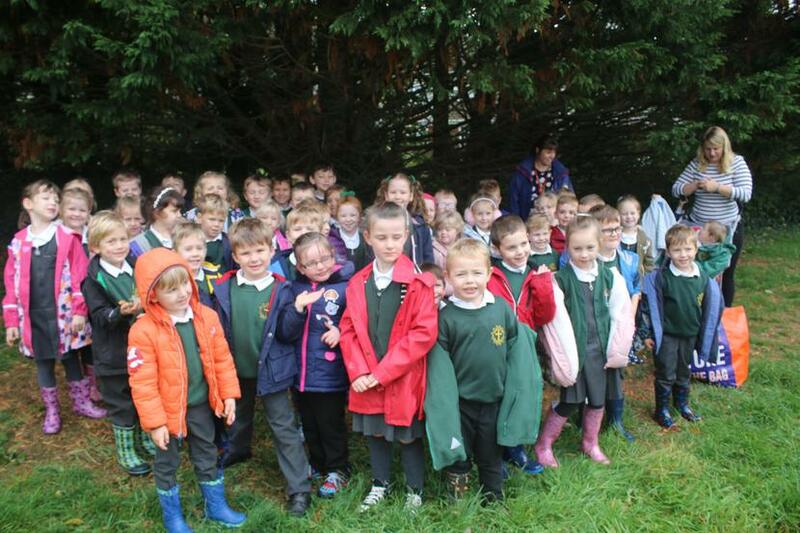 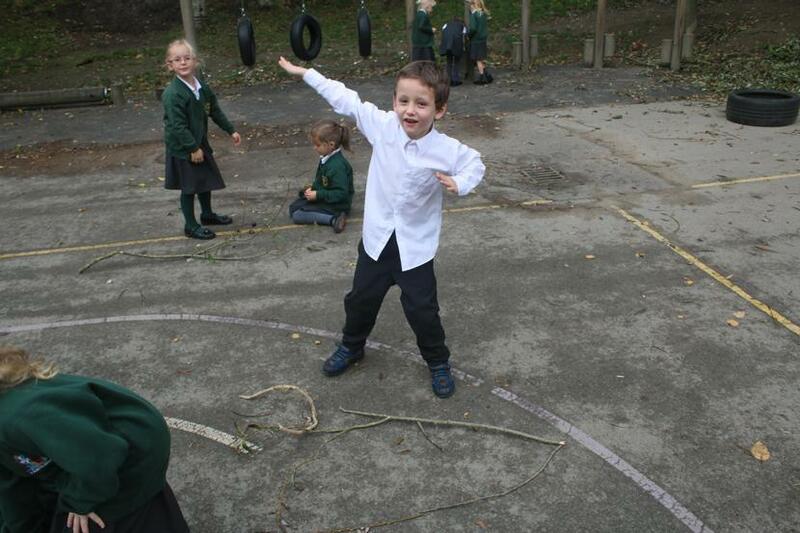 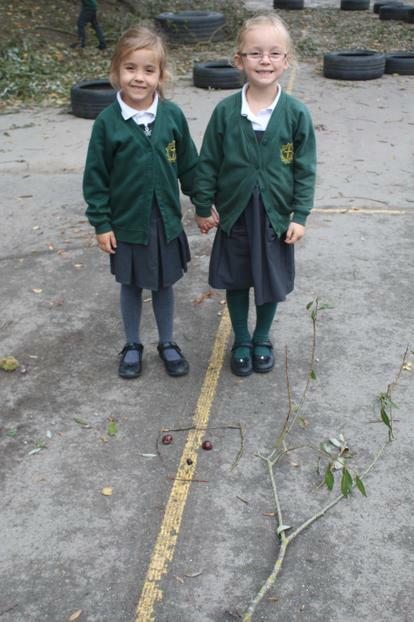 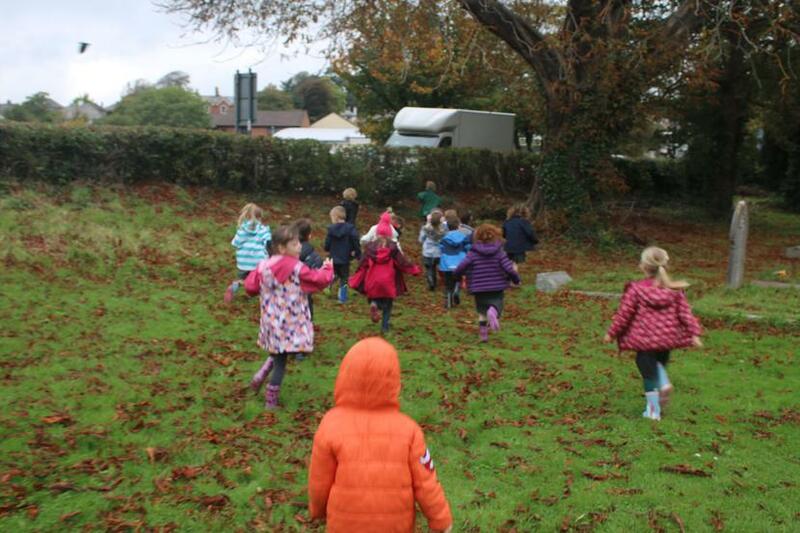 We thought that it would be a good idea to go on an autumn walk to help to inspire their poetry. 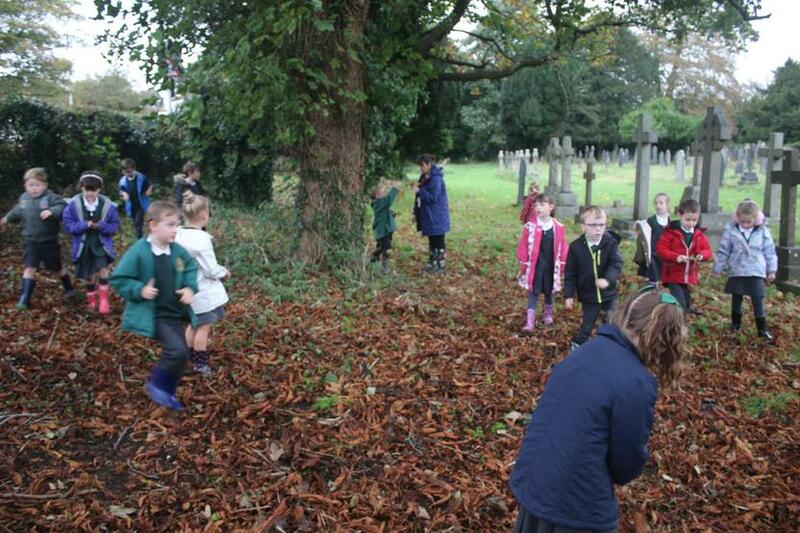 We walked through the churchyard first as there is a huge horse chestnut tree there. 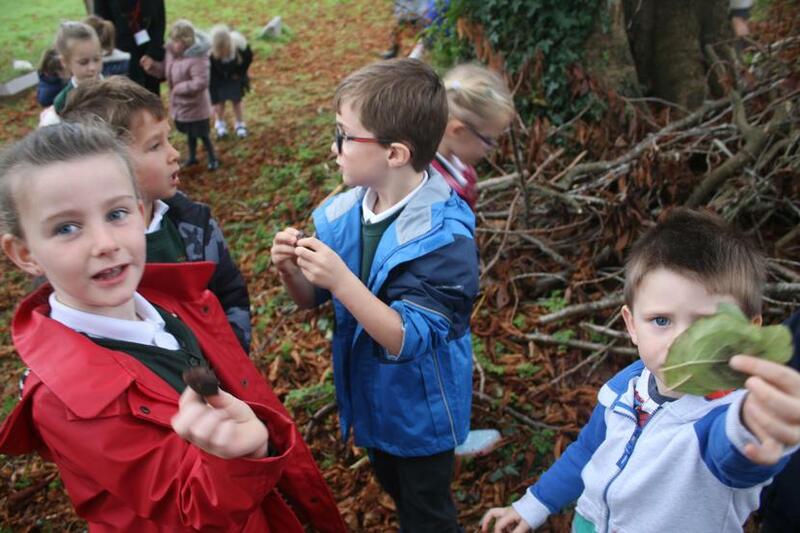 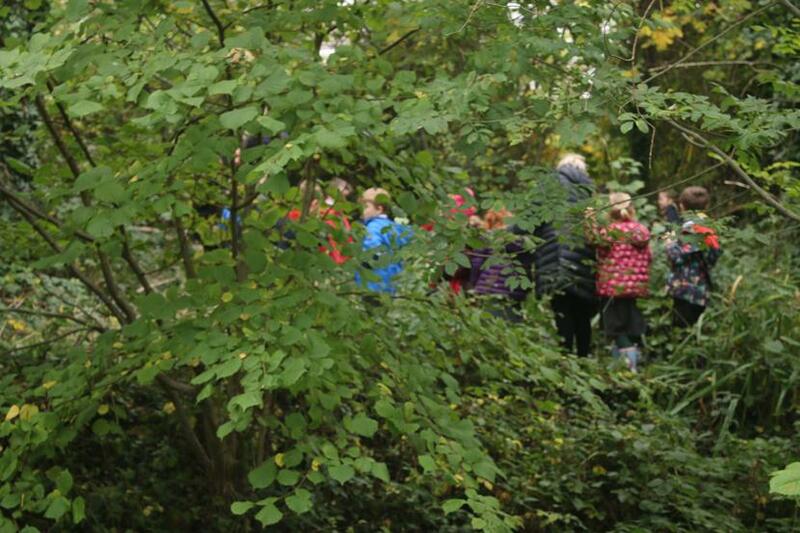 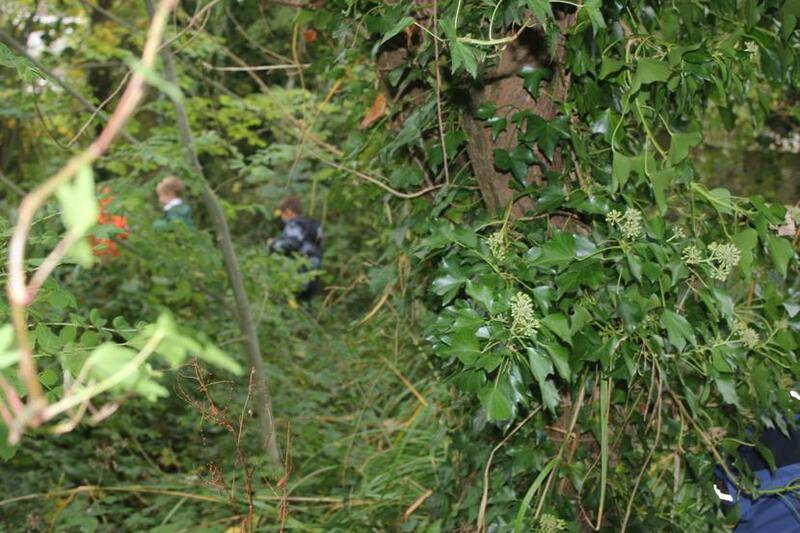 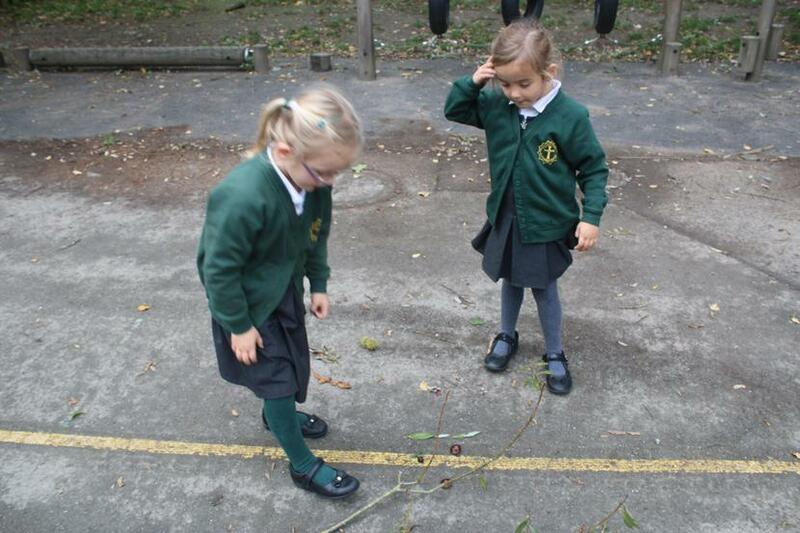 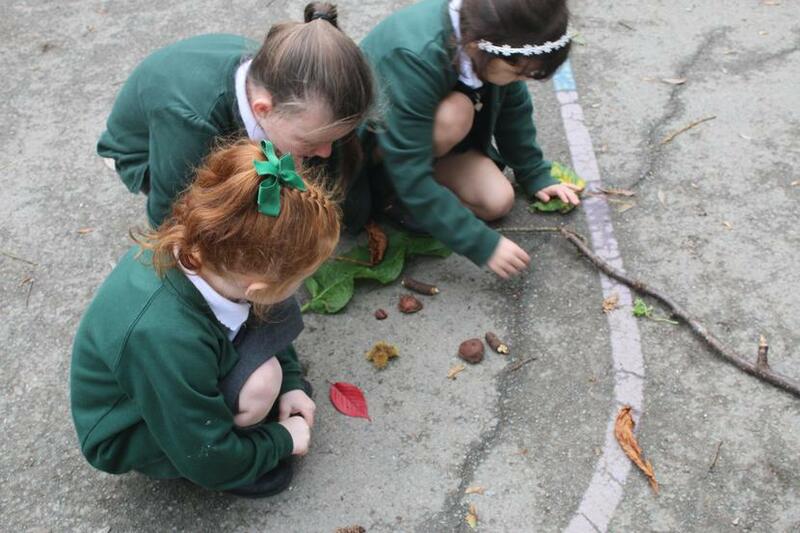 We were lucky enough to find a few conkers that hadn't already been spotted! 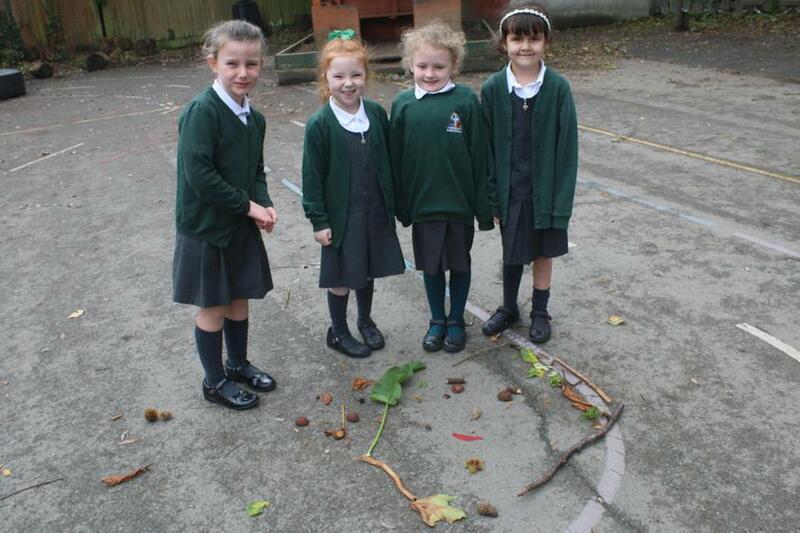 We also found lots of colourful leaves and other autumn items. 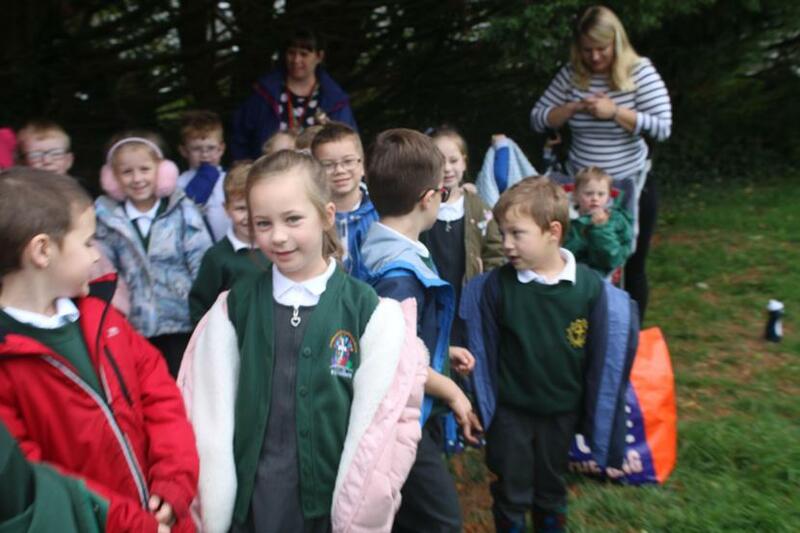 After that we walked up to Old Priory who have amazing grounds. 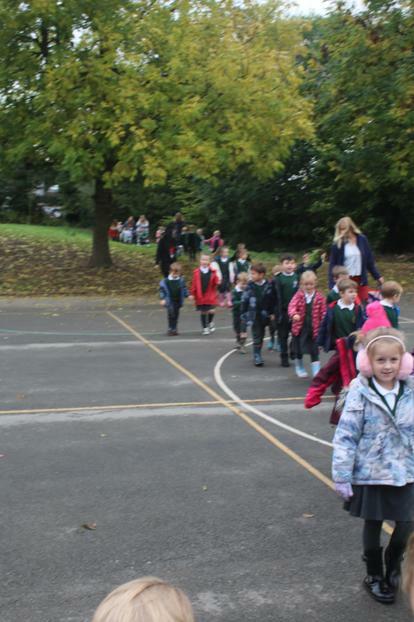 We went all the way through the playground where we saw some of our old friends running their Daily Mile! 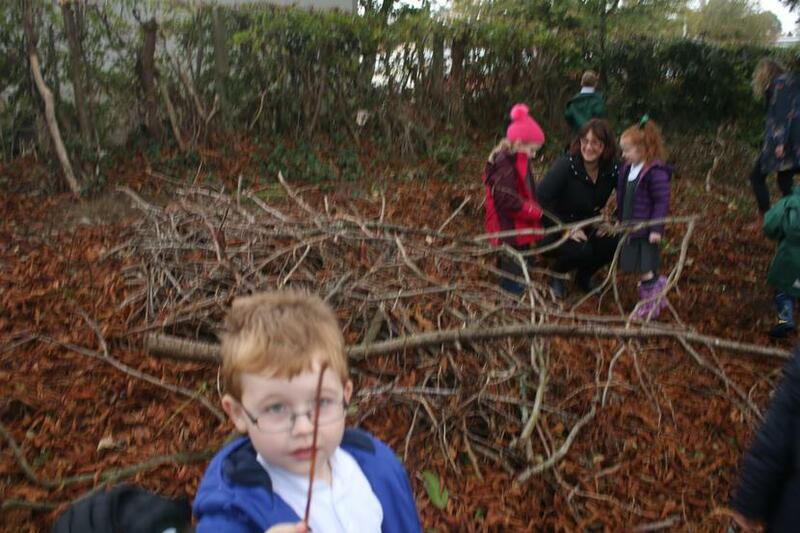 Then we went to a secret nature area which has lots of trees and plants and a pond area. 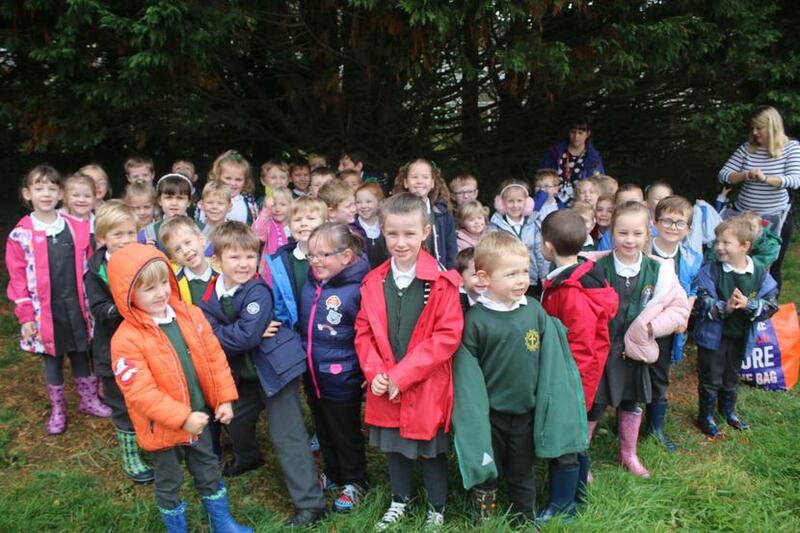 That was a bit of a squeeze so next we went up to the field as there are wooded areas at the back. 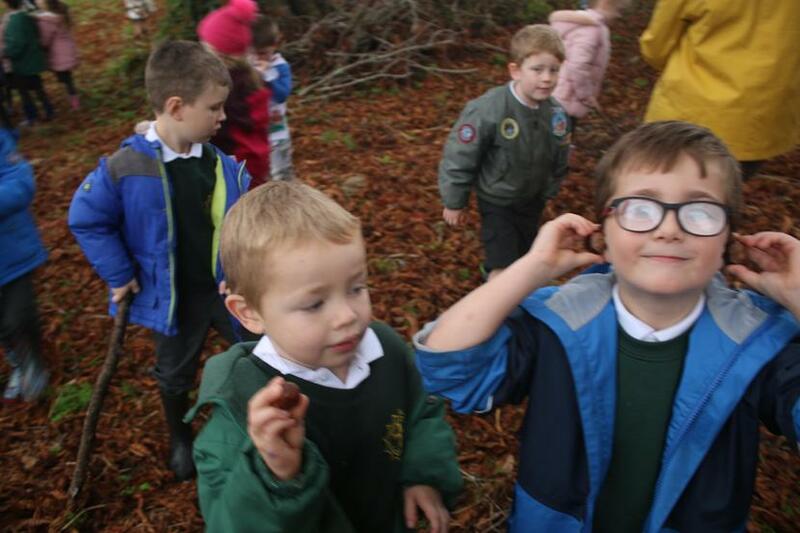 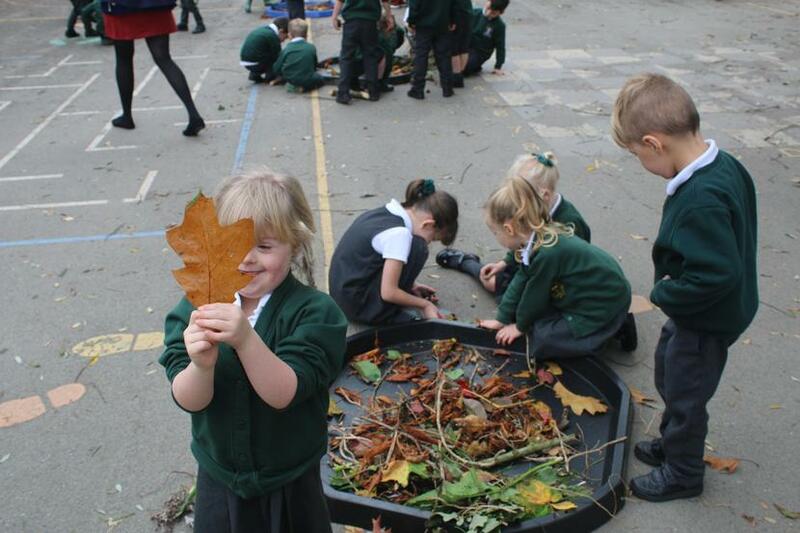 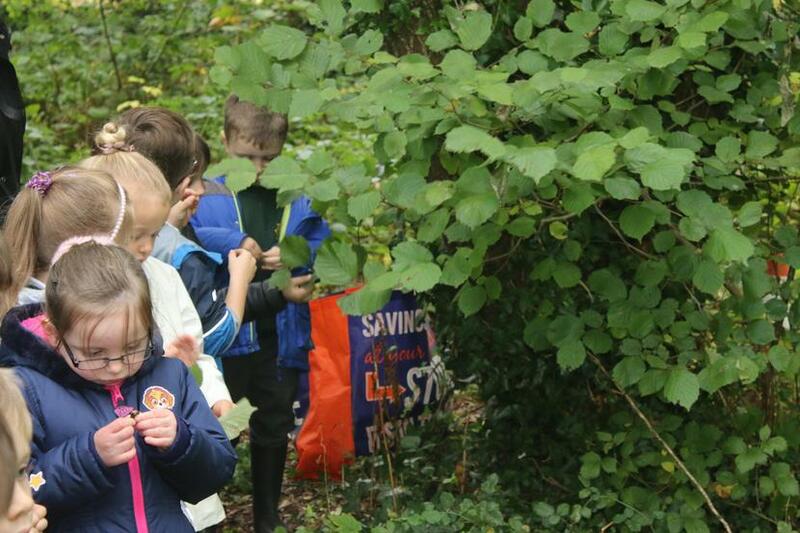 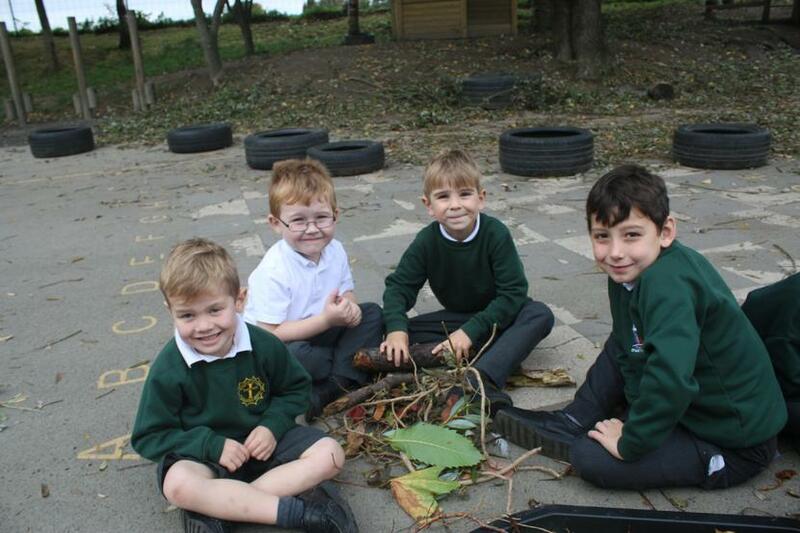 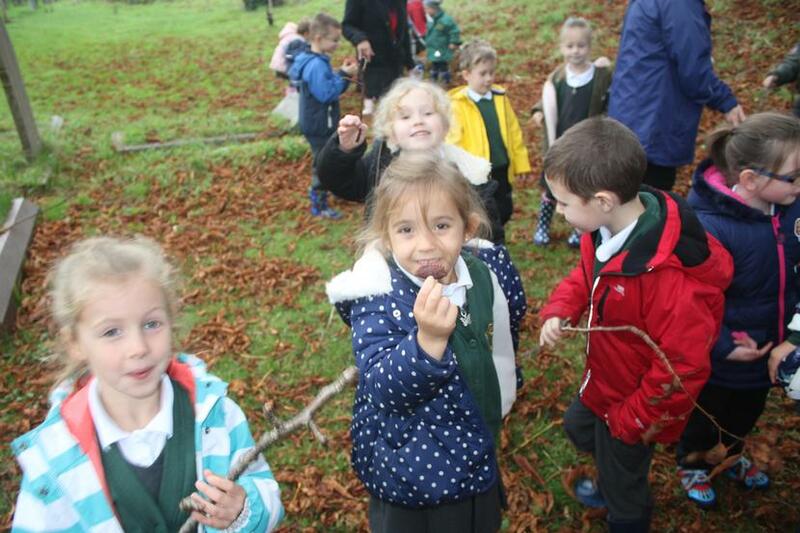 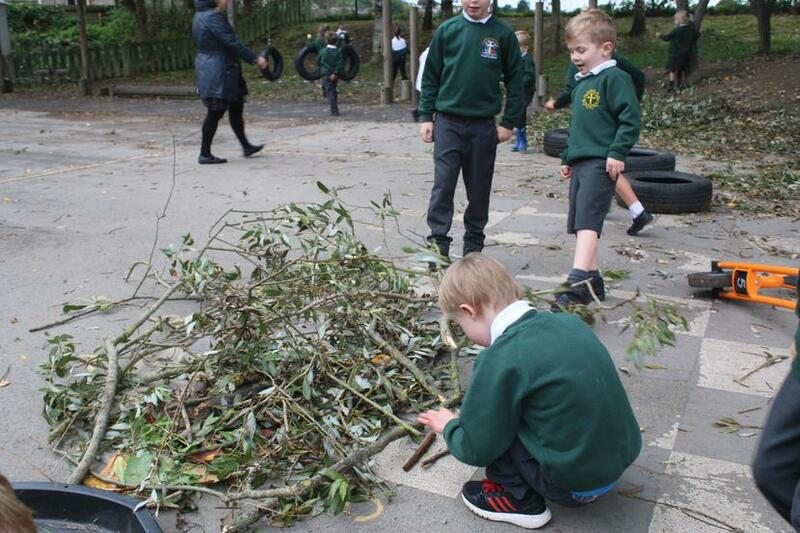 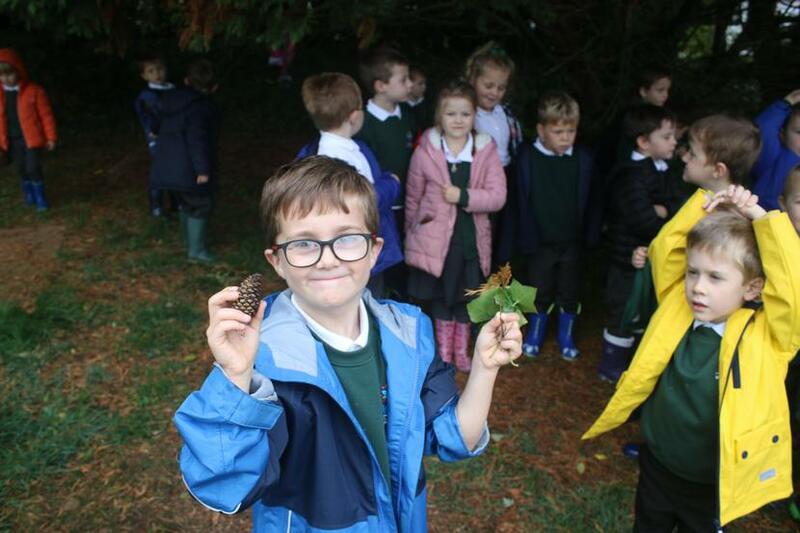 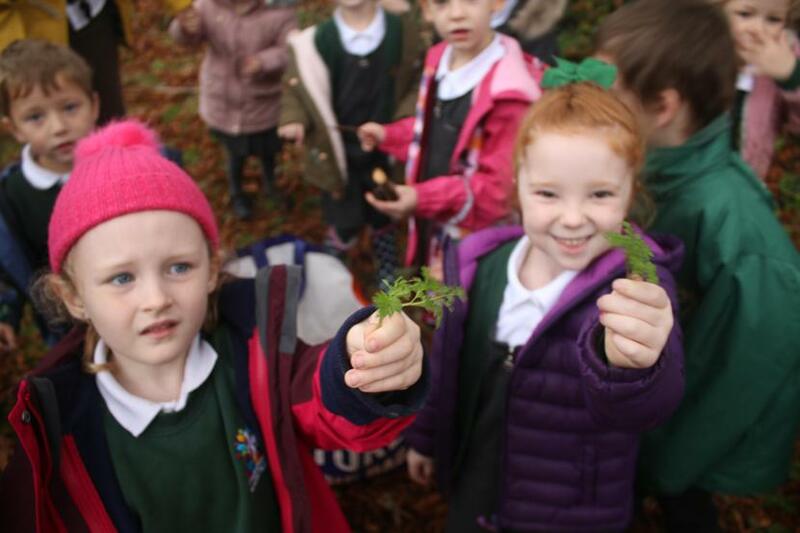 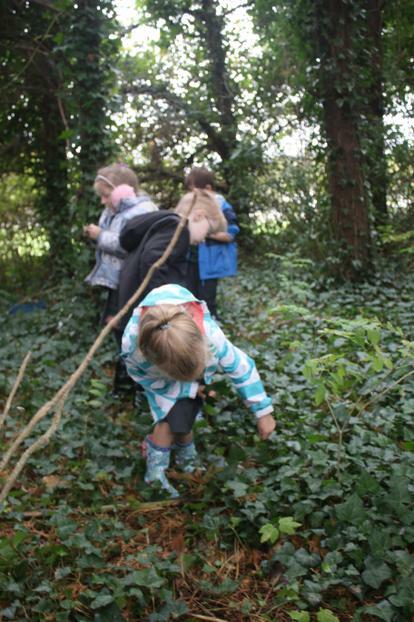 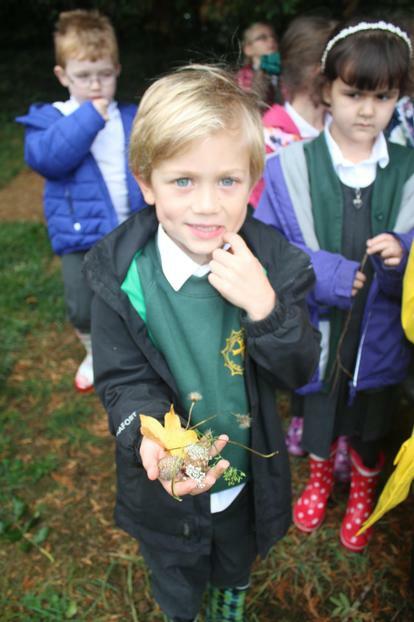 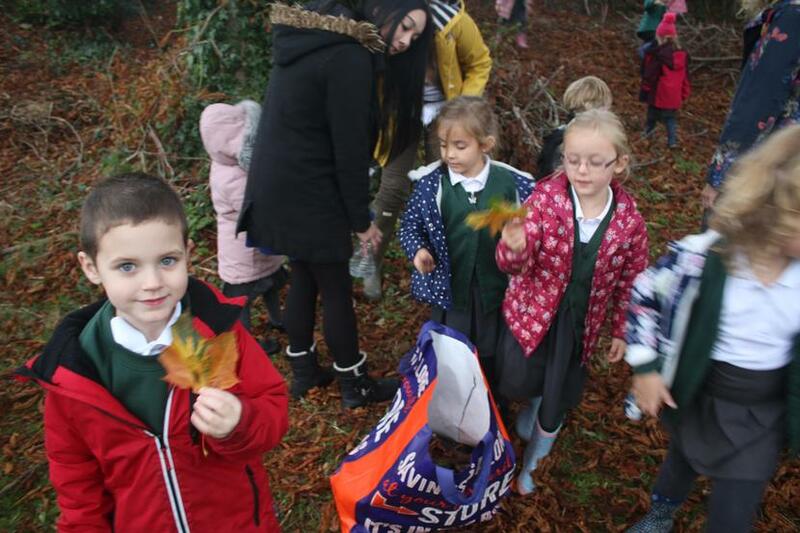 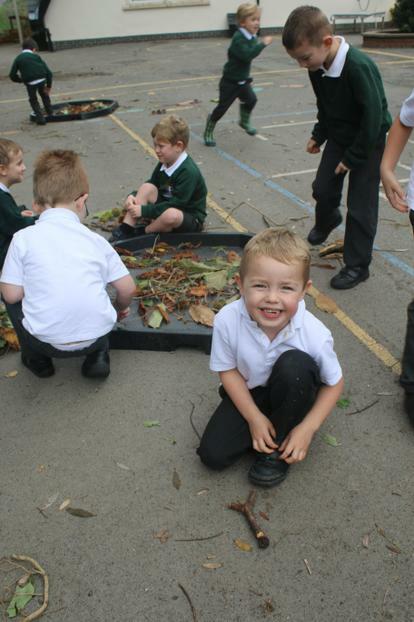 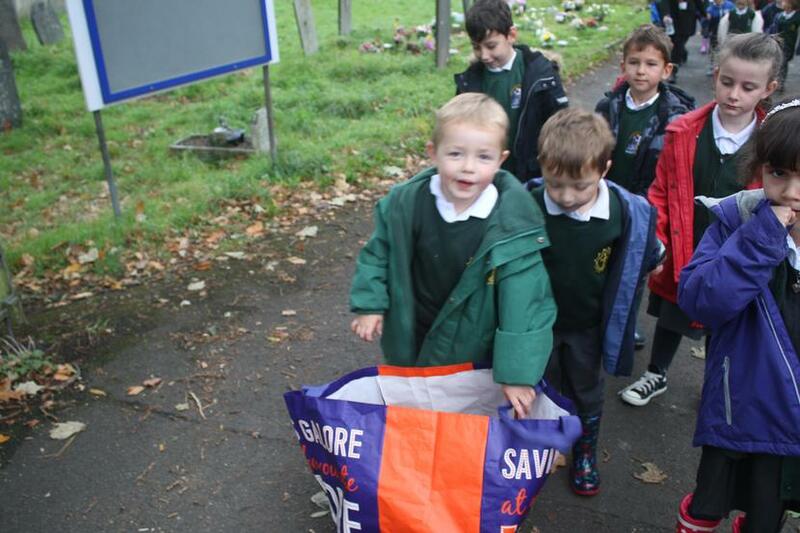 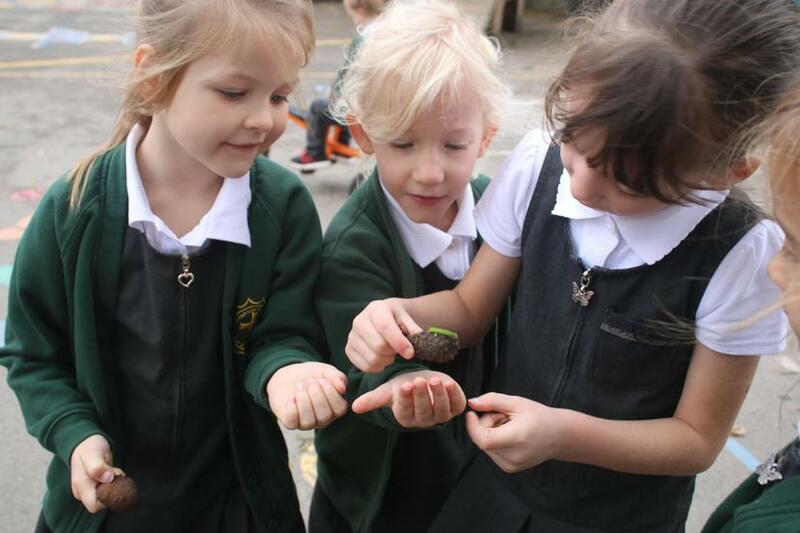 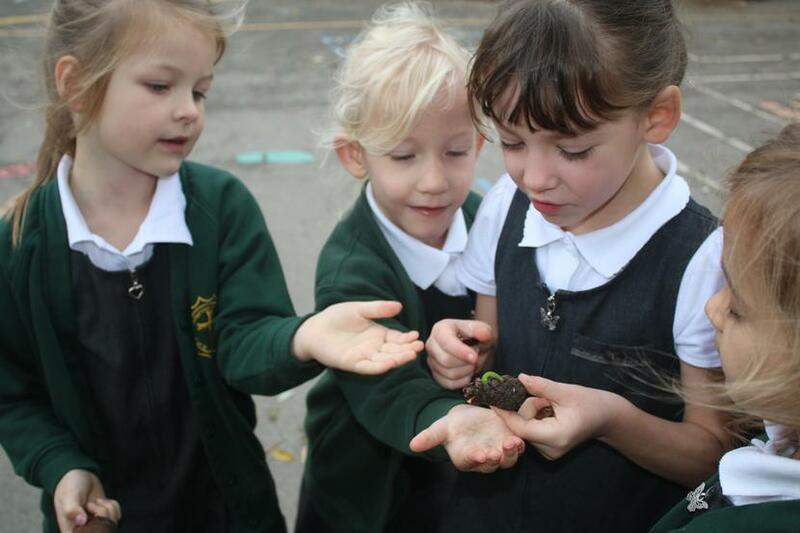 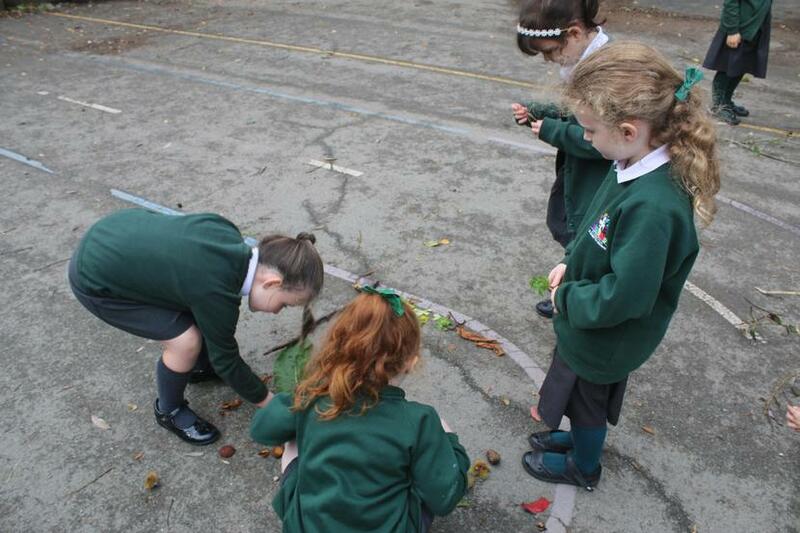 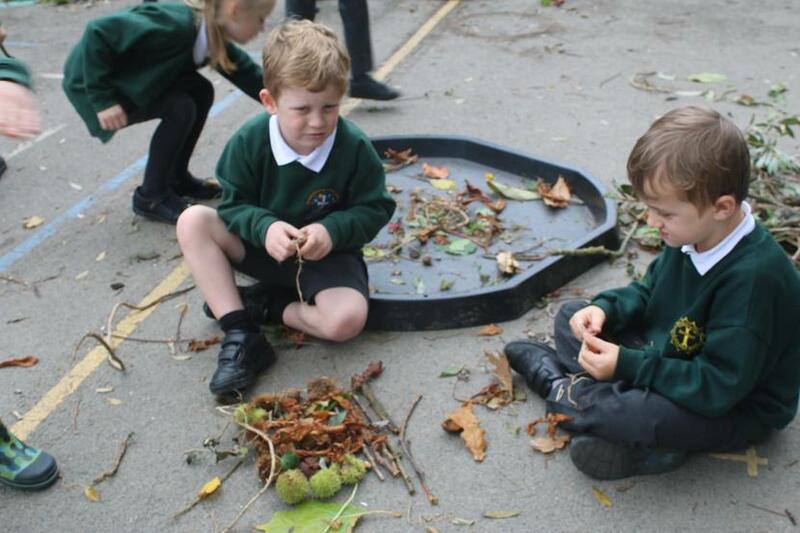 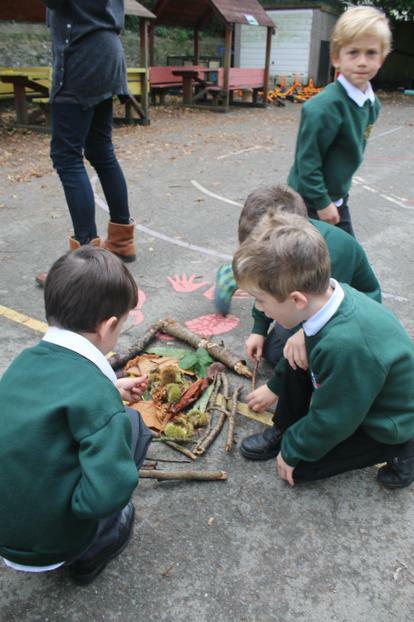 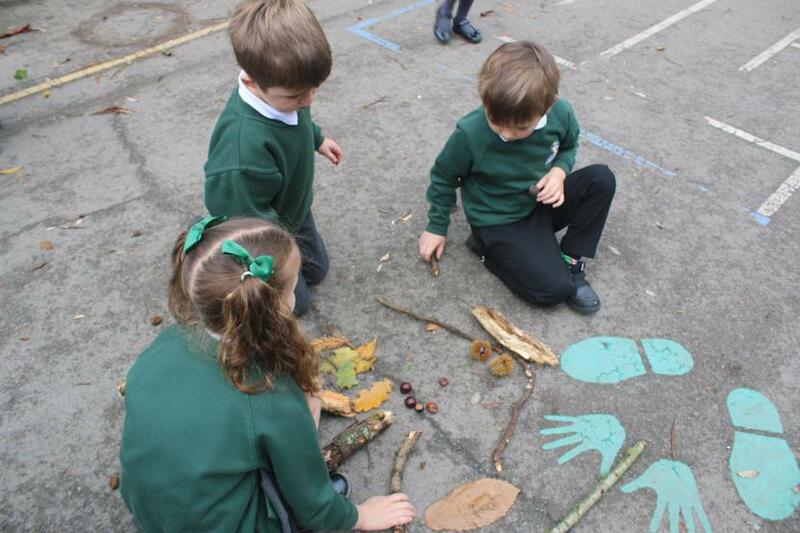 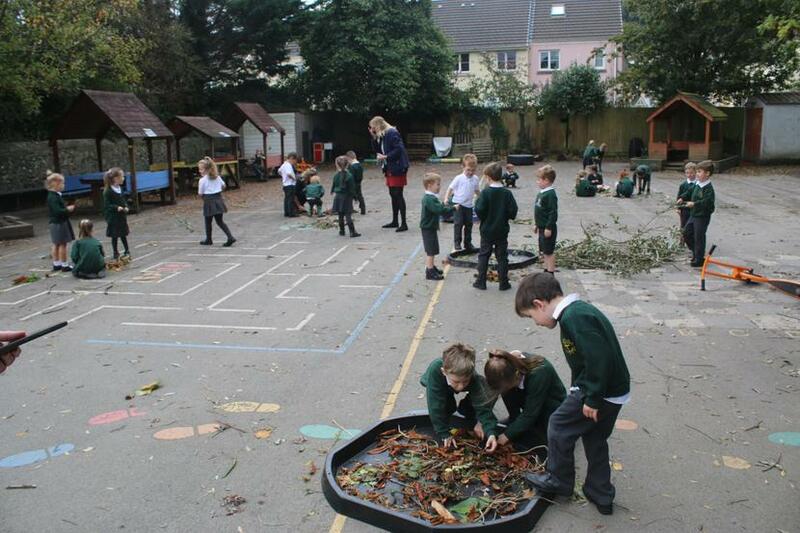 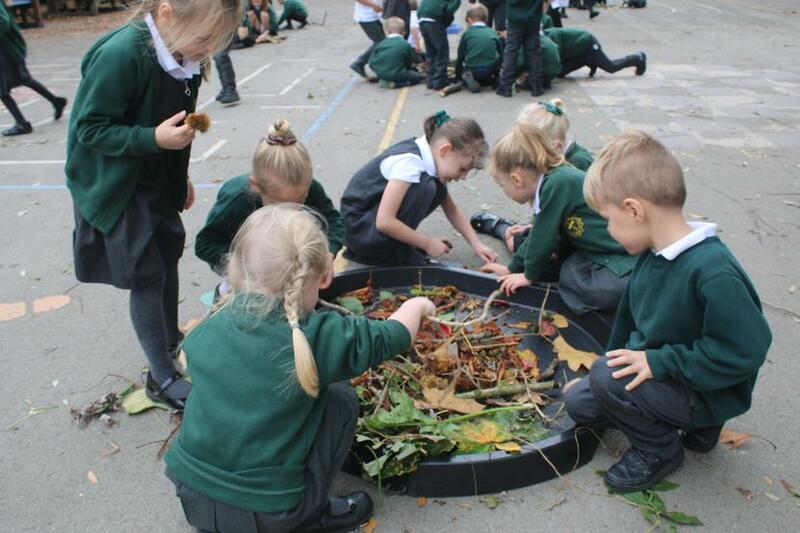 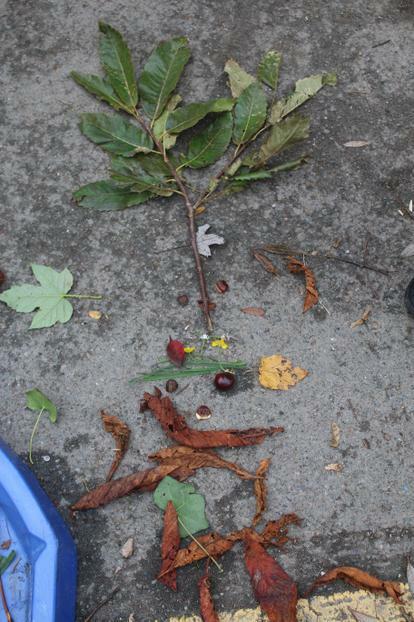 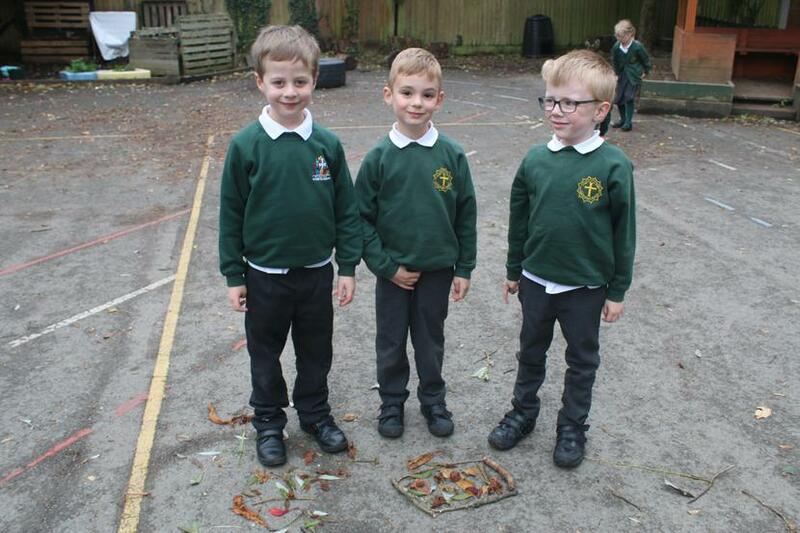 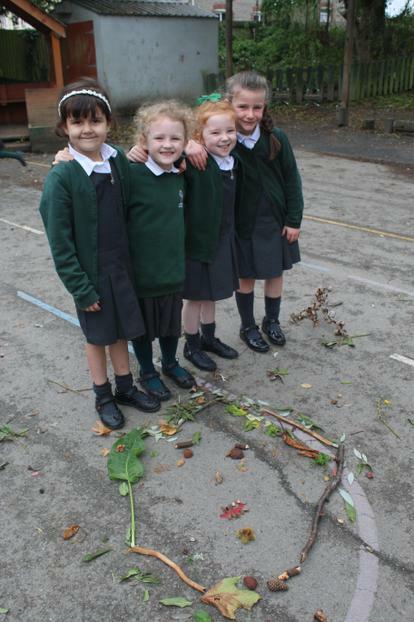 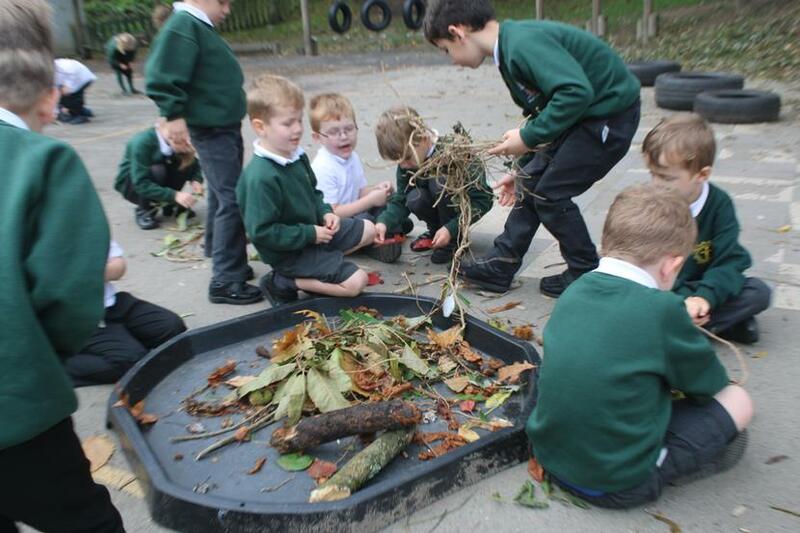 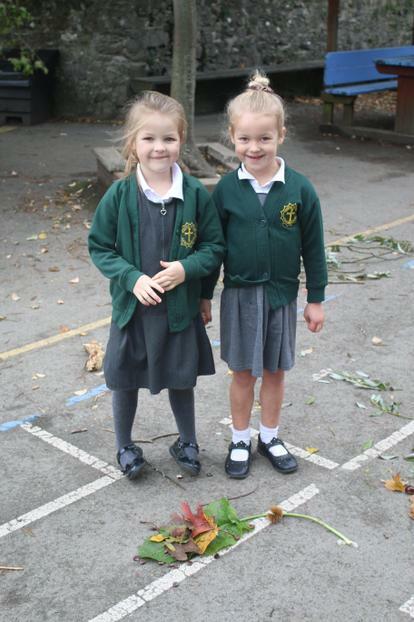 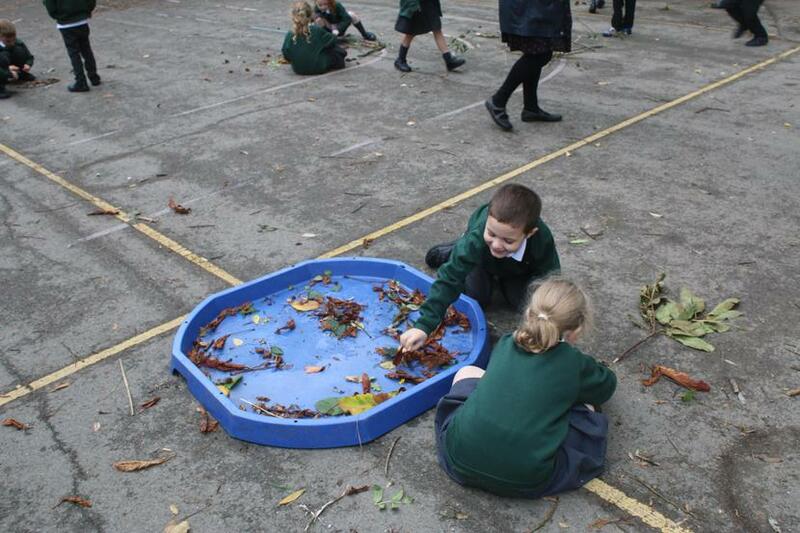 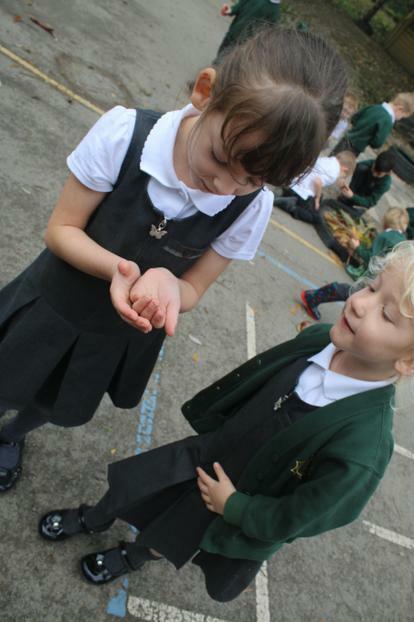 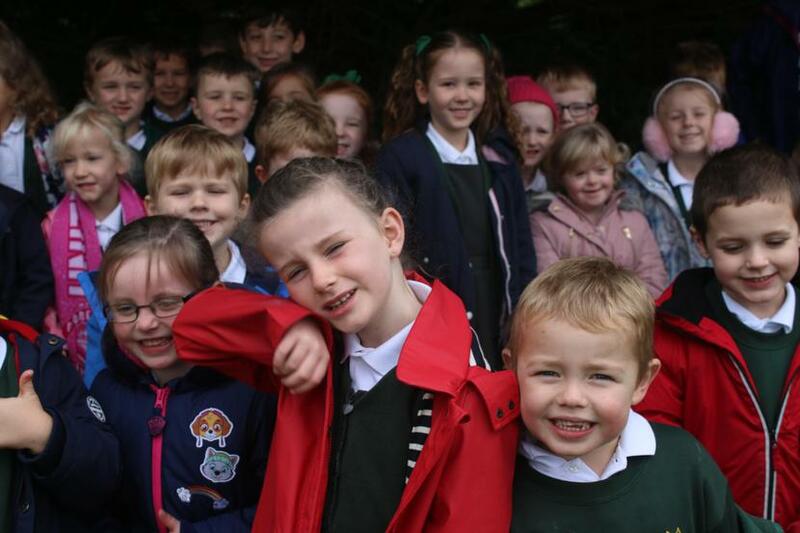 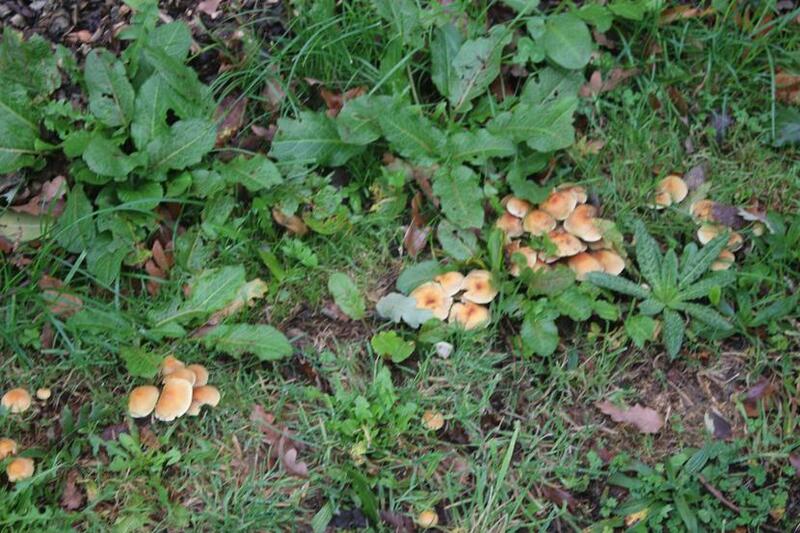 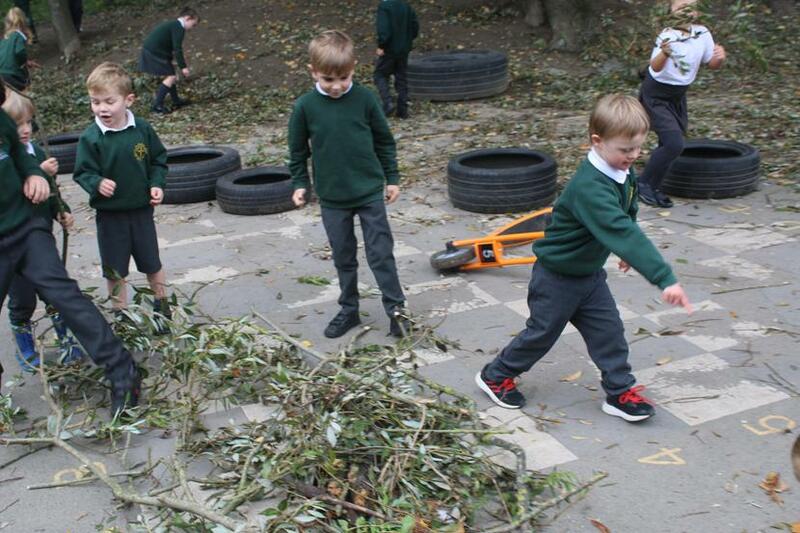 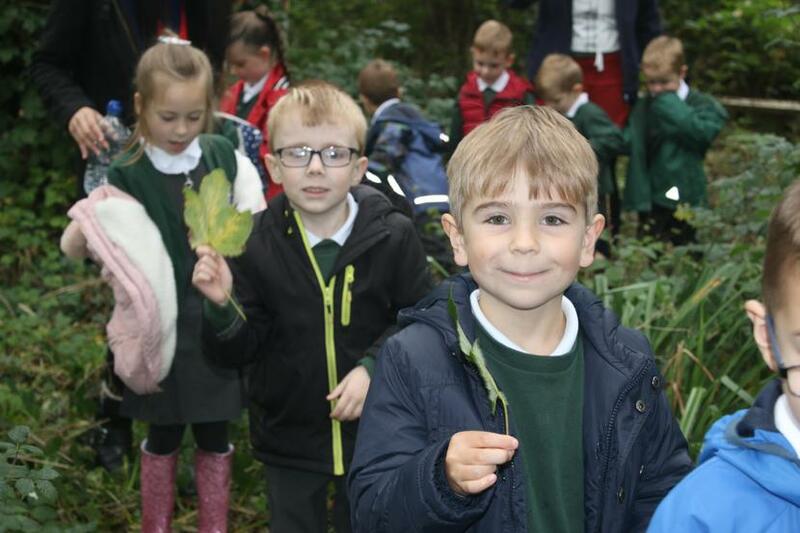 The children enjoyed finding more autumn treasures to take back to school. 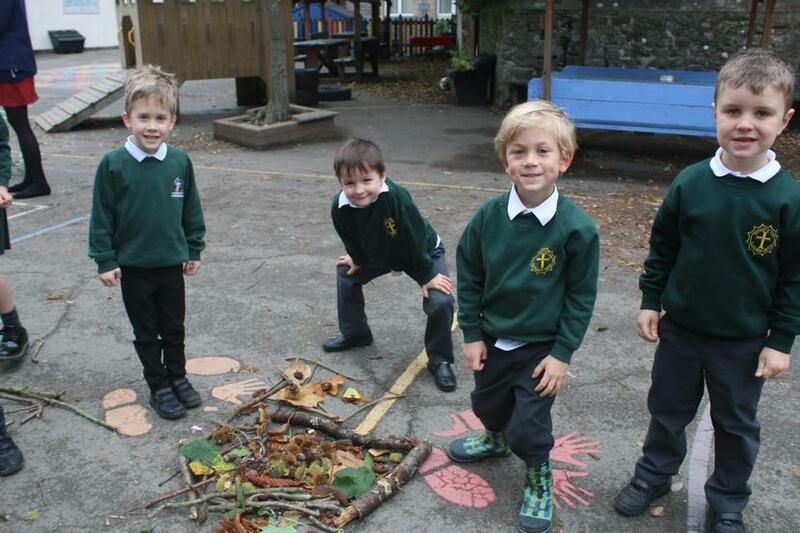 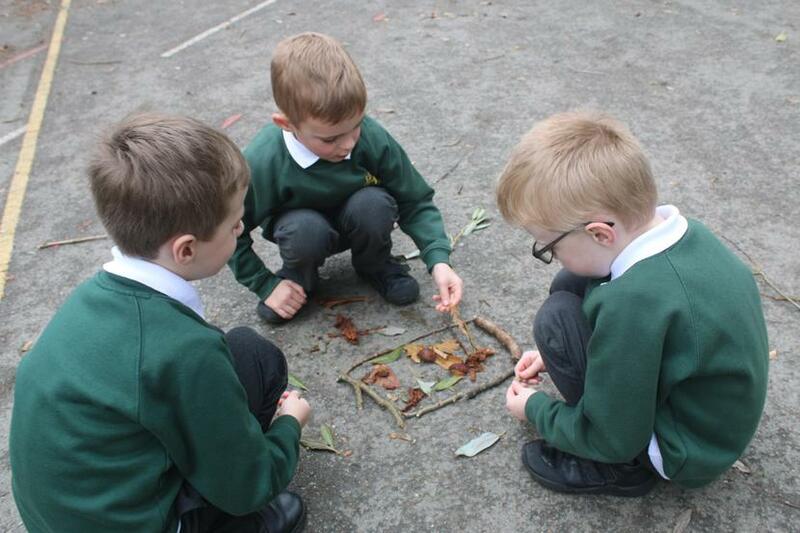 Once we got back, we looked at some pictures of art made by Andy Goldsworthy, who uses natural materials and landscapes to inspire him. 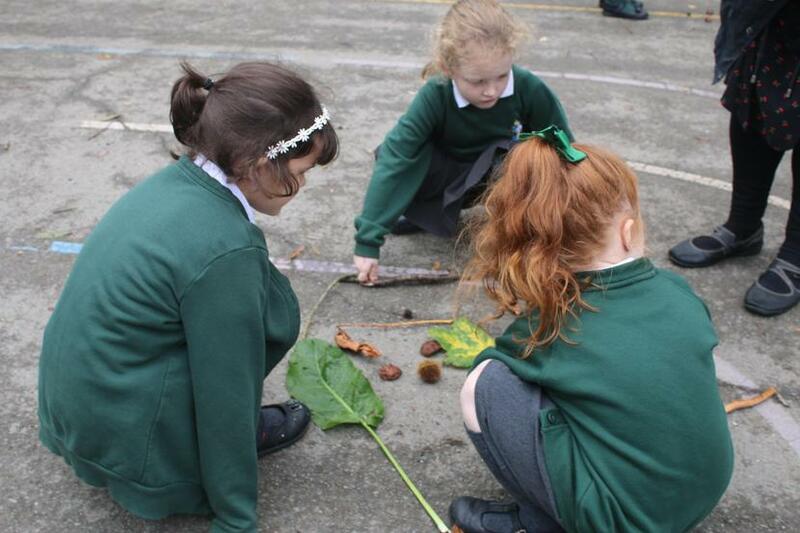 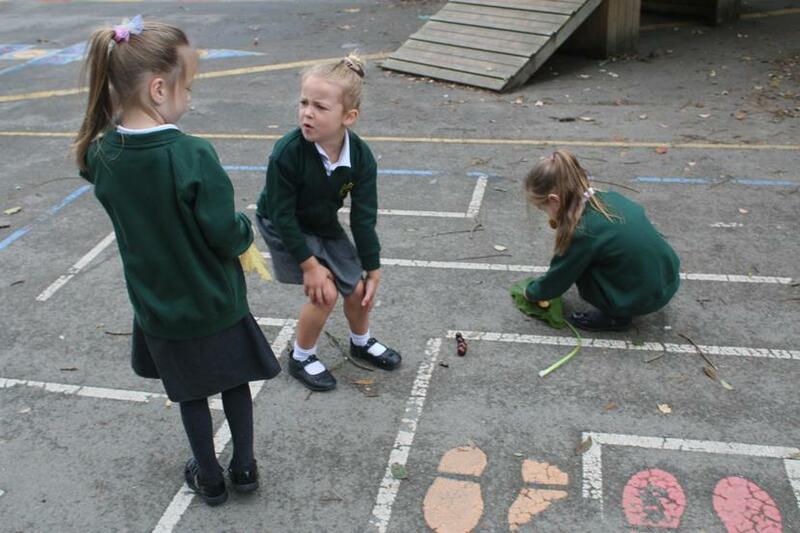 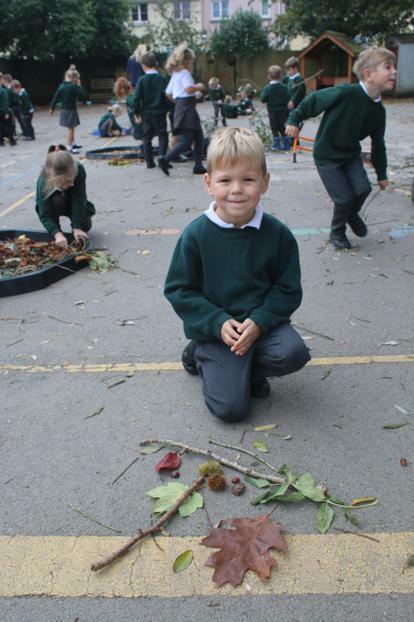 The children realised very quickly that they would be able to create their own 'leaf pictures' so we headed back outside to the playground to do this. 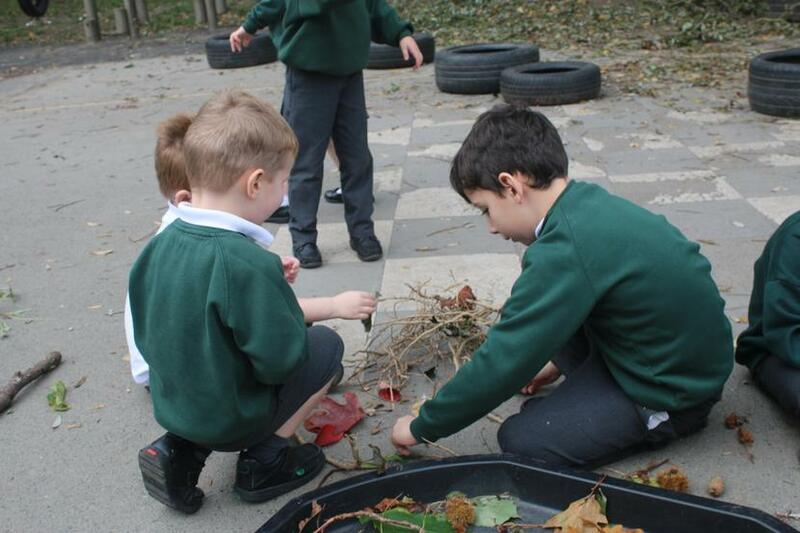 We are sure you will be impressed when you look at the photos of our morning, but what impressed us the most was the fantastic team work and ideas that the children had. 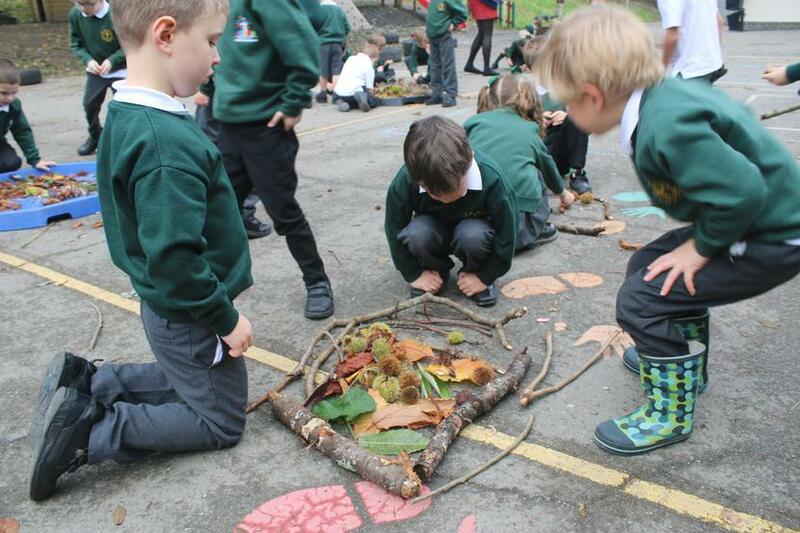 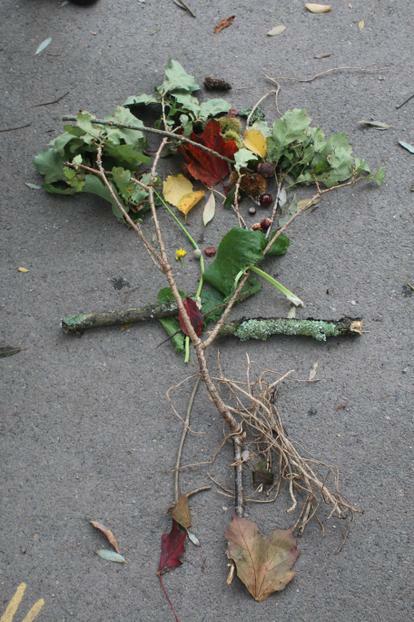 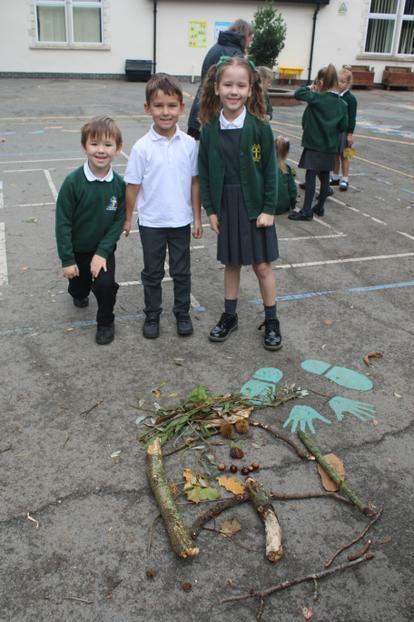 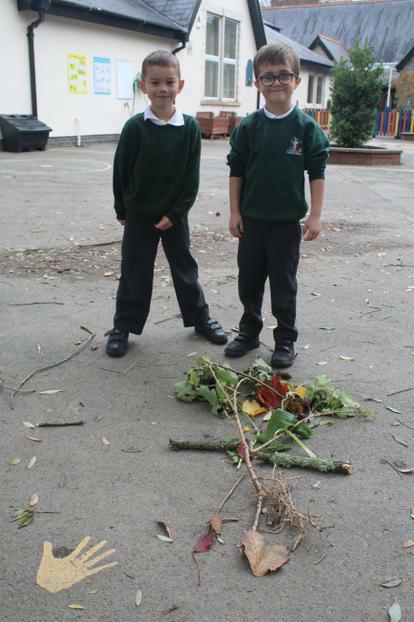 Their final creations included faces, people, a farm, 'Broccoli' from Supertato, patterns and a camp fire. 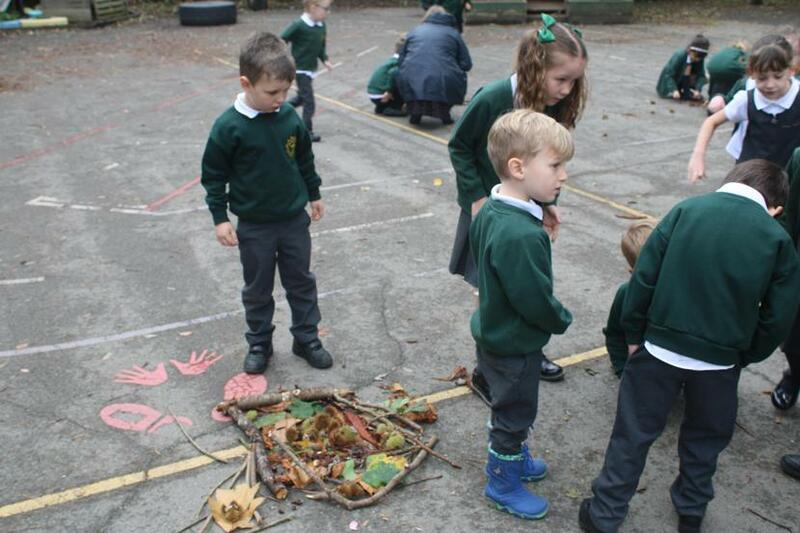 The children had such a great time and demonstrated some wonderful collaborative work today. 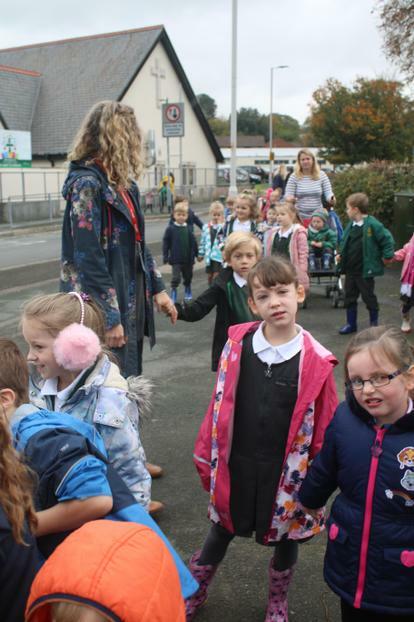 Thank you so much to our parent helpers and members of the team who helped on such a busy morning.